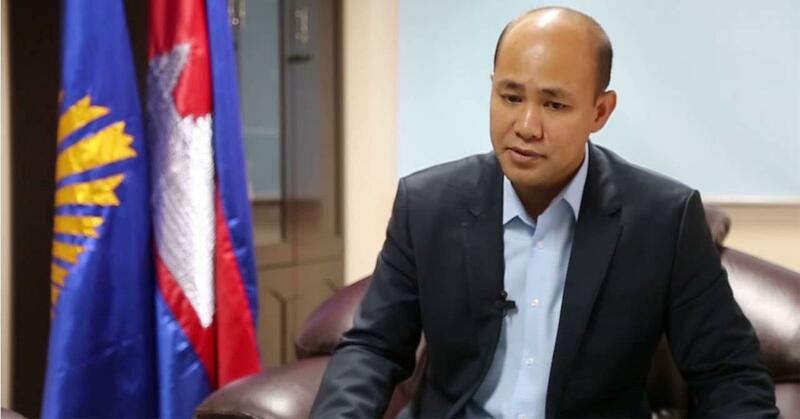 Phnom Penh (FN), April 10 – Hun Many, member of parliament and the Premier’s youngest son, reacted to cyber bully of Sor Chandeth, former senator from Sam Rainsy party and later senior member of the dissolved CNRP. Sor Chandeth posted on Facebook earlier Wednesday a photo of late Deputy Prime Minister Sok An and a photo of Prime Minister Hun Sen with the caption “sharing the same destiny”, implying that the Premier will go to see Sok An in the afterlife. Seeing such despicable act, the Premier’s youngest son said he was shocked and beyond dismay; it is not freedom of expression. “As the Khmer New Year is a few days away, every family is getting ready to come together in a festive mode to enjoy and to wish each other well. 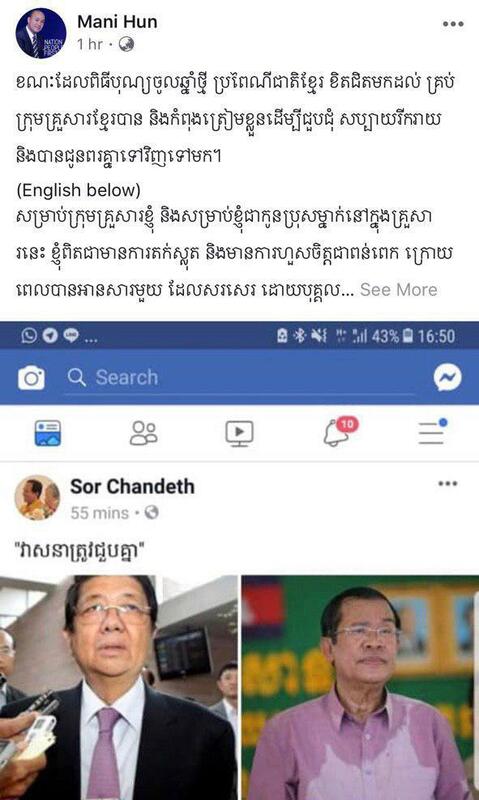 As for my family and as a son, I was shocked and beyond dismay of this post by Mr Sor Chandeth. I cannot comprehend these words and actions. This is not freedom of expression,” Hun Many wrote on his Facebook shortly after seeing Sor Chandeth’s post.